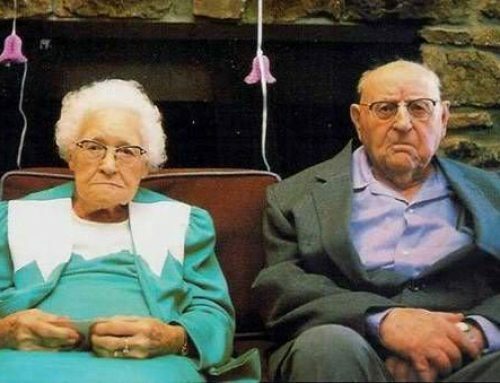 Unless they manage to hitch up before a judge or magistrate, couples are rarely permitted to tie the knot without submitting to one or more outdated custom, designed to bring them health, good fortune and a tiny measure of humiliation. This is true around the world. 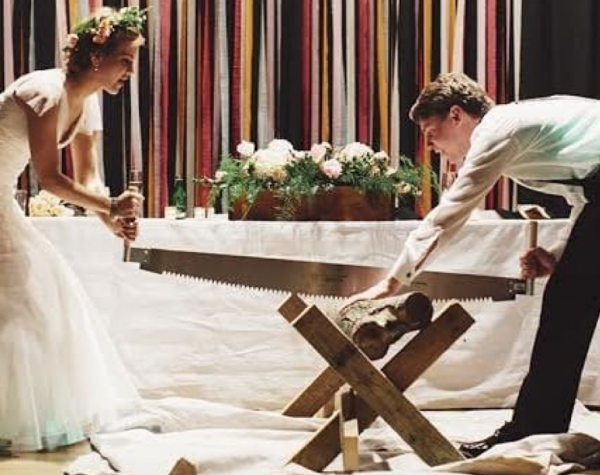 Following the ceremony, a young German couple is required to work together to saw a log in half. 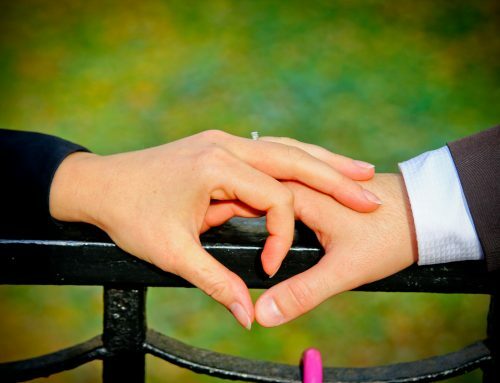 According to Southern Bride Magazine, the act is designed to demonstrate the bride and groom’s ability to work together. Presumably, the wedding is annulled if one of them loses a finger. In Fiji, the bridegroom must gift his future father-in-law with a whale tooth (or tabua) before he can ask for the daughter’s hand in marriage. Seems fair. Scottish weddings aren’t all tartans and kilts. There’s also the customary “blackening the bride.” On the night before the wedding, she (and sometimes the groom) are pelted with food such as rotten fish, animal entrails and decaying eggs. The ritual is supposed to prepare them for the hardships of marriage. (Sharing the TV remote control might serve the same purpose, but, hey, that’s me. The bridal couple and their families are known to play games during the ceremony. In one, the sisters (or cousins) of the bride steal the groom’s shoes, which he has removed before entering the wedding canopy. He must bribe them to get them back. In Kenya, as the newlyweds leave their village after the ceremony, the father of the bride spits on his daughter’s head and breast before she leaves home. It’s supposed to bring them good fortune (or, perhaps, a communicable disease), I’m not sure which. Chinese couples consult with an astrologer or fortune teller before setting a date for their nuptials. In the Daur area of the country, they also rely on poultry. The couple must find a chicken, dissect it and examine the liver. If it’s unhealthy, they can’t set a date until they find a chicken with a healthy liver. Before we start feeling too culturally superior, we must acknowledge our own bizarre marital ritual. No American wedding is complete without the obligatory “group dance.” Depending on ethnicity, it might be the Electric Slide, the Horah, the Hokie Pokie, the Chicken Dance or, in extreme circumstances, the YMCA. It makes blackening the bride look mundane.